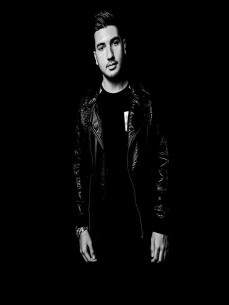 Frank Nugnes is a young italian dj and producer, he was member of the big duo Wavers, supported by many top 100 djs but due to some problems with important decisions for the career, they decided to split theirself. mix” where the Spinnin’ Records agent said “2016 should be pretty good, we have got some new stars that will be emerging soon and this is a great example with Wavers - Future Brass”. with the duo remix of "Feel Your Love” hitting the top 3 positions of the contest. I am growing really hard day after day with remixes/mashups and my podcast episodes weekly released. and hitting over 150.000 plays on Soundcloud. In March i got the support from Harrison(Artist working with Hardwell, VINAI, David Guetta and many more) and also a big support from Blasterjaxx, they have played the Wavers duo brand new track at Spinnin’ Pool Party with the biggest DJs present. Many big artists such Dannic, Jay Hardway, KURA, Jewelz & Sparks, Kill The Buzz and many more asked Wavers to send them the track for big supports in club/festival and in the radioshow/podcast episodes. I have also remixed the “Lost Kings - You” as Wavers track already supported by the biggest DJs and with over 200.000 plays on Soundcloud. Facebook page and i'm working hard all days to produce the best EDM tracks.